Our main room is 400 capacity and is available to local and national promoters for live music events that are open to the public. 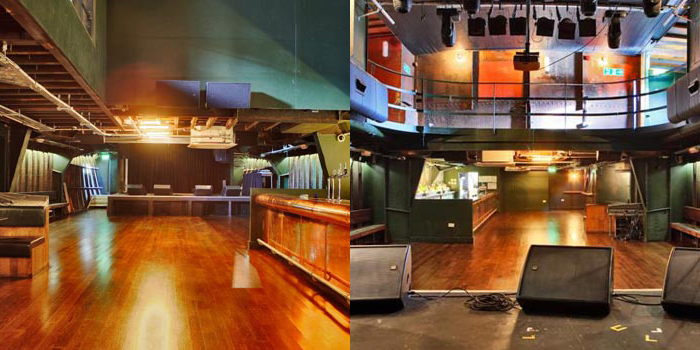 - includes first class PA system, lights, dressing room, ticket sales management, etc. - subject to availability & our approval. - cost depends on exact requirements, attendance etc. The Top Deck is our 100 capacity small bar room and is perfect for corporate or private functions or even putting on your own club night. Please note that the Top Deck has limited availability due to existing club events. The whole boat is available for hire for corporate events, during the day or evening. Please contact us to discuss your requirements.